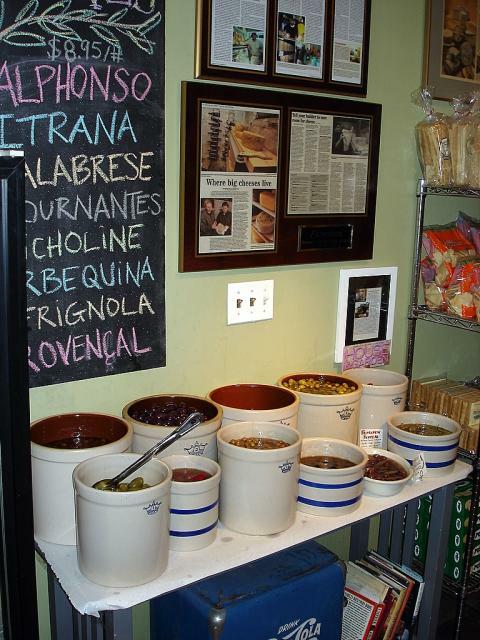 Anyone who is a supporter of good food in New England already knows about Farmstead Cheese in Providence RI. 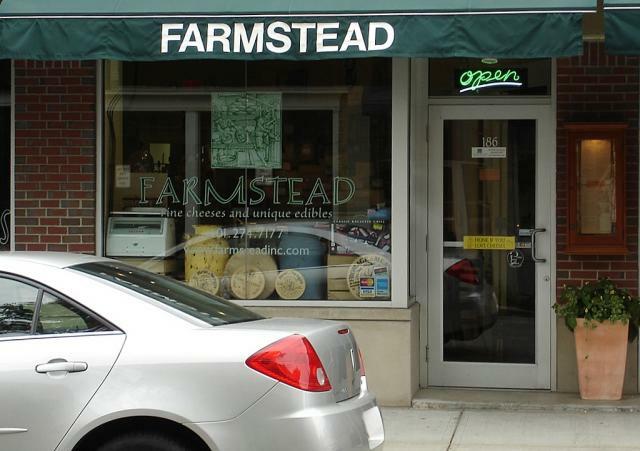 Run by Matt and Kate Jennings, Farmstead has spent three years bringing the highest quality artisanal cheeses to their shop on Wayland Ave in Providence RI, and the shop has a stack of awards to prove it. 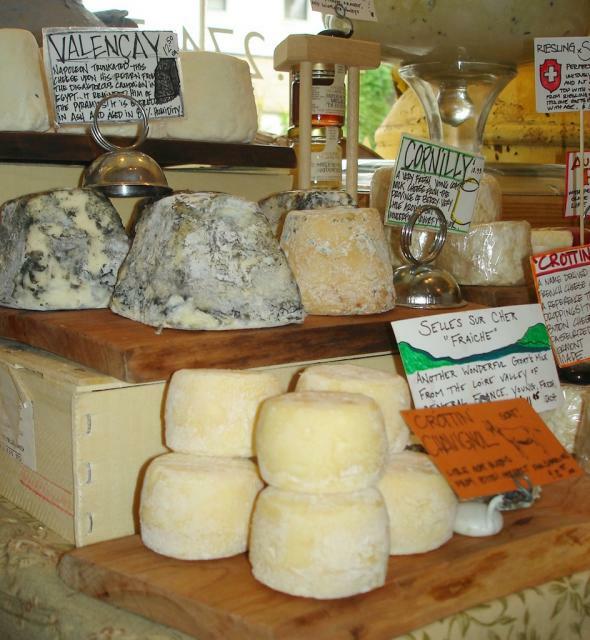 They also provide cheeses to the very best restaurants in the greater Providence area, including Chez Pascal, Gracie's, New Rivers, Castle Hill Inn, Persimmon, and Nat Porter Restaurant. Visiting Farmstead is always a highlight of my day, as I feel surrounded by the hard work of cheesemakers and other food artisans who care deeply about what they do. 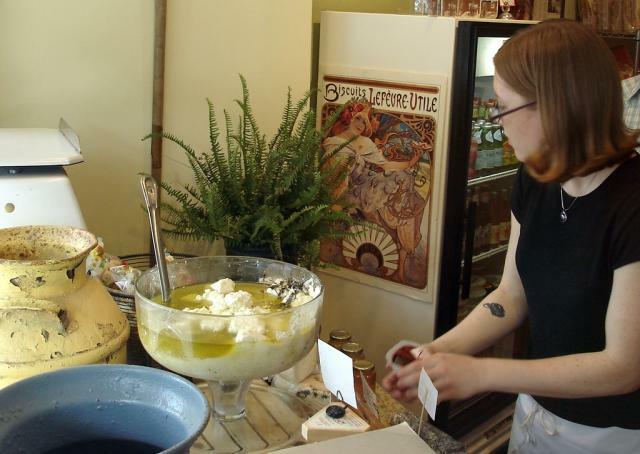 Sareh Amber's standing next to the bowl of chevre; I'm pretty sure that's Terrence Geary, the fourth member of the Farmstead team, over her shoulder. 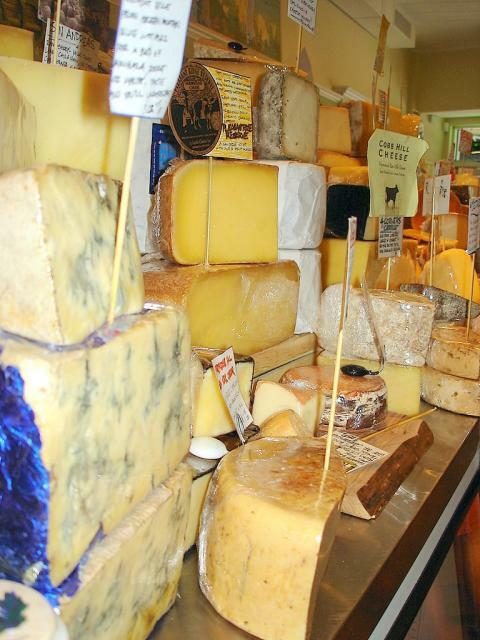 Matt, the cheesemonger at Farmstead, travels far and wide to find the best cheeses in the world. 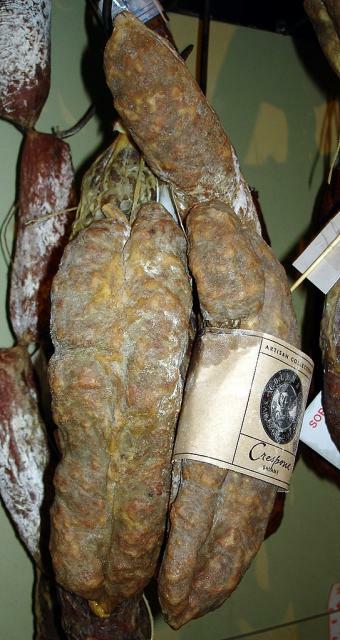 -- honeys, crackers, and, my personal favorite, charcuterie. I fixated particularly on this crespone on my last visit. 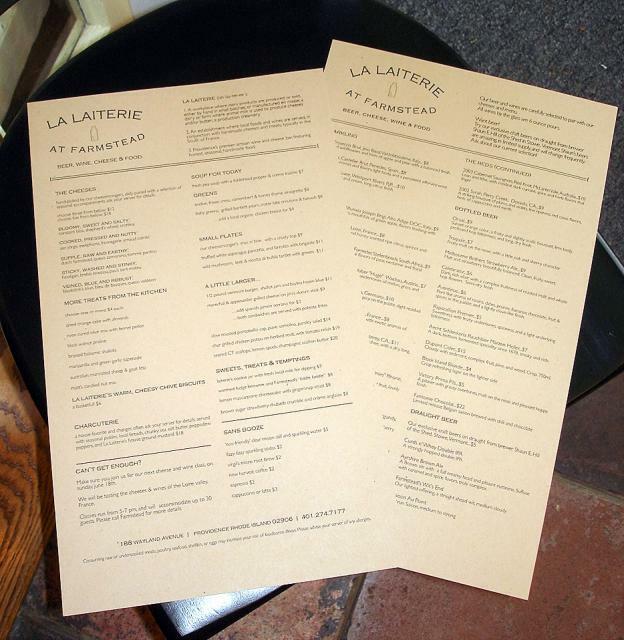 Just a couple of weeks ago, I found out that Matt and Kate had just created a new way to share their deep love and respect for remarkable foodstuffs with the rest of us: their new restaurant, La Laiterie at Farmstead, right next door. It's designed to fit into the neighborhood, with subdued decor and lots of windows up front. Here's what it look like just before opening. 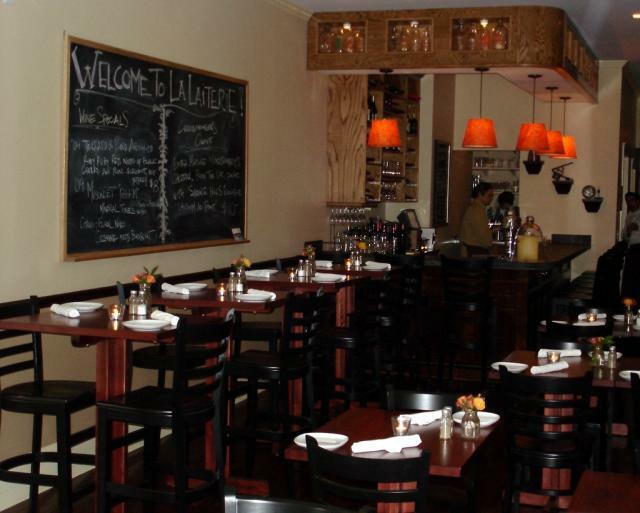 La Laiterie's mission is to provide diners with the opportunity to eat the finest artisanal cheeses, charcuterie, and other foods coupled with the handmade wines and beers. With Matt behind the stove and Kate doing the baking and managing the front, they're committed to making and serving what they call honest food -- and it's all reasonably priced, I'll happily add. 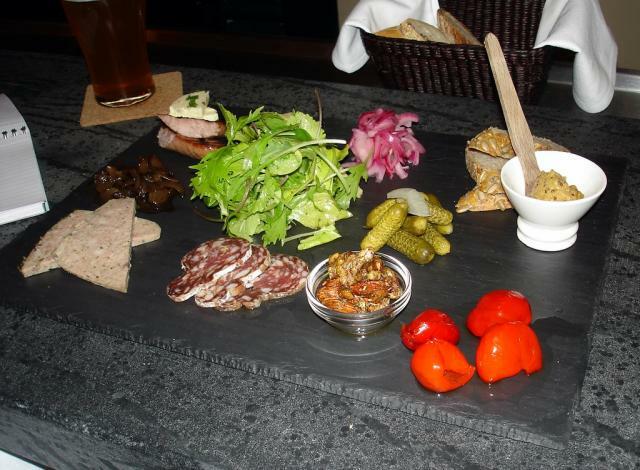 I spent some time there at the bar on Saturday evening, focusing most of my attention on this wonderful charcuterie slate. 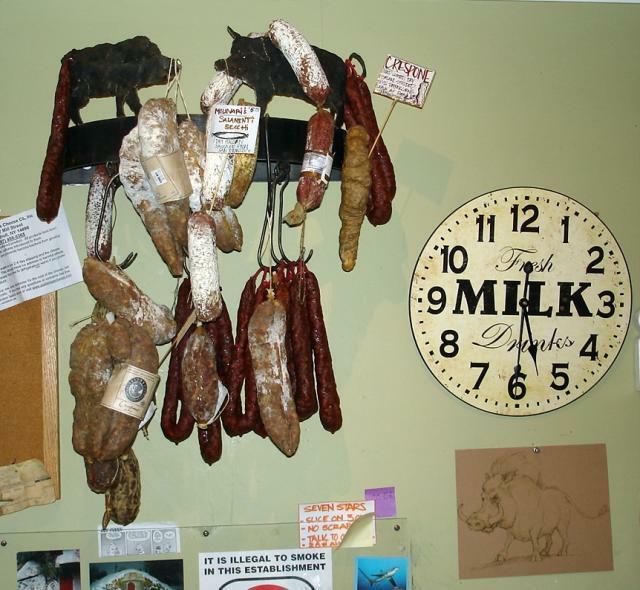 I had fantastic pheasant pate and rabbit sausage, both of which placed extraordinary meat at the foreground. The "extra mature" Montgomery's cheddar lurking behind the microgreens was, without question, the best cheddar cheese I've ever had. The mains played off the tid bits, including some mighty fine cornichons and thyme-spiked toasted nuts, and the condiments were mighty fine as well, including balsamic shallots, some picked peppadew peppers, and Matt's homemade mustard. Remember that crespone that was hanging on the wall over in the shop? Here it is, up close and personal. 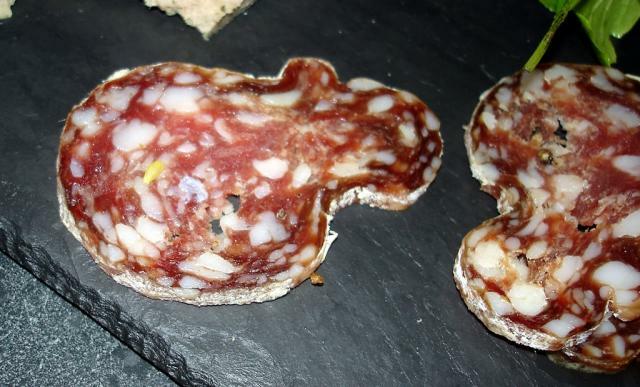 The flavor matched the definition of this miraculous sausage. 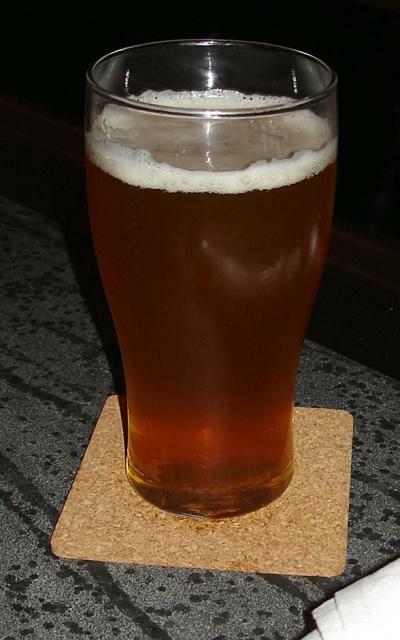 When I asked Stefan, who has developed the great wine list and was tending the soapstone bar, what I should have with the slate, he instantly suggested a saison au point made by Vermont brewer Shaun E Hill. All in all, a wonderful meal in a wonderful place, the first, I'm sure, of many. Has anyone else been? If not, well, go and report back! 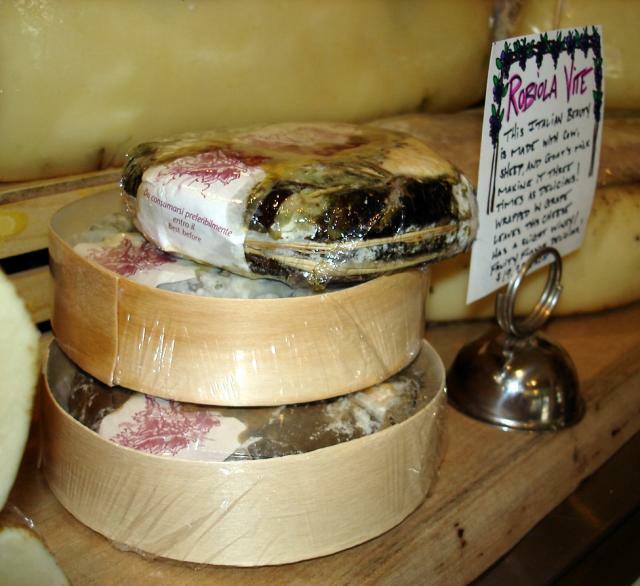 artisan cheese and wine/beer bar in the Northeast. 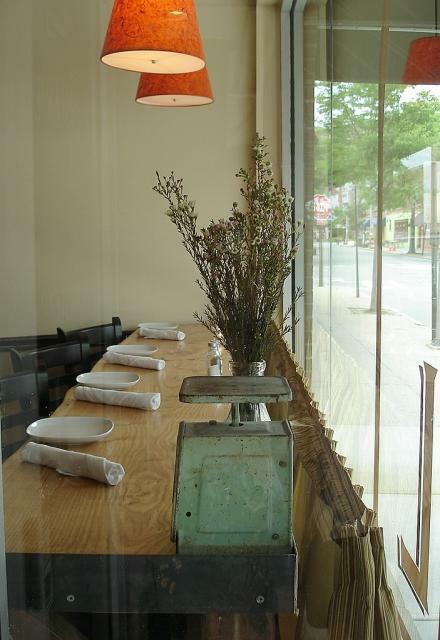 The goal is to keep it ingredient driven, focus on quality over quantity (we are only 35 seats), and to bring New Englanders a completely new experience, at a rational and reasonable pricing structure, given the 'lineage' of the ingredients. 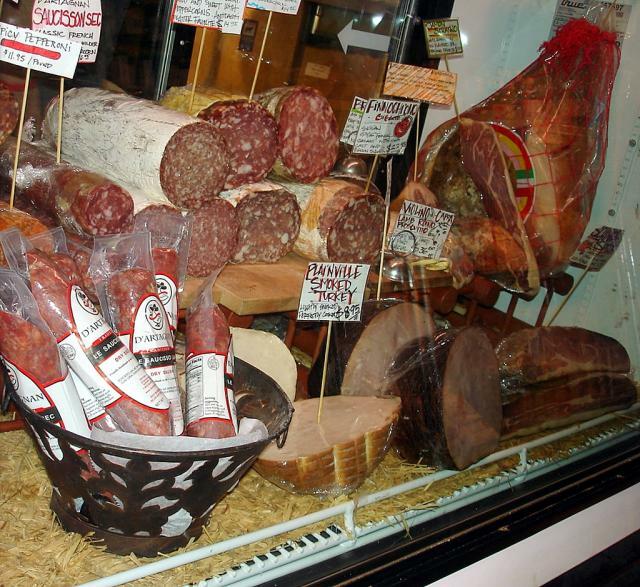 We are really excited and can't wait to just keep pushing along, creating the best we can, cooking the best we can, and continuing to bring you the best in domestic and international artisan cheeses, meats, charcuterie, oils, dry goods, and so much more. 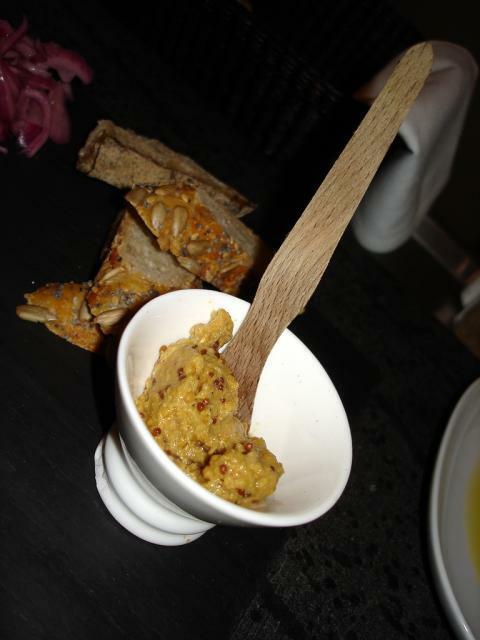 Hope to see you soon at Farmstead, or La Laiterie! This looks fantastic and I can't wait to get there! We live in Boston, but spend our summer weekends in RI. We'll definitely be checking you out! Sigh! 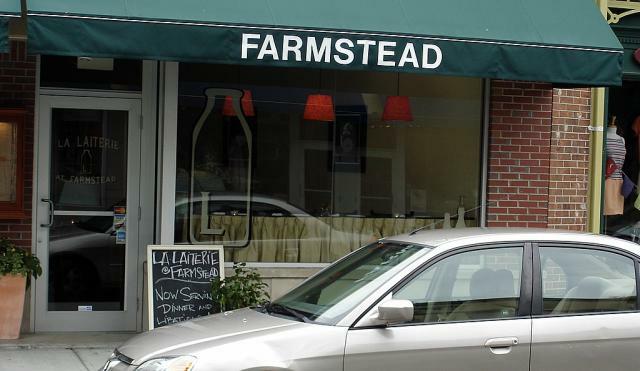 I'm really disappointed that we must have moved away from RI shortly before you opened Farmstead. Your shop looks great! Nice pics Chris! We used to buy our cheese at Wholefoods who were pretty good by US standards, but don't look as if they're in your league. Good luck & if we're ever back in RI we'll drop in. This is very exciting. I'm surprised because I was just in Wayland Square last week and didn't even notice it. What are the days and hours it is open? Tuesday through Saturday, starting at 5pm. the 2nd through the 5th. We were very excited to be selected by Travel and Leisure for their July edition of favorite places. We are also excited because we had some folks come in last week who were members of egullet, and said they saw our photo essay here! It is always nice to meet the folks in the neighborhood- so come on by! Have a great 4th, all. 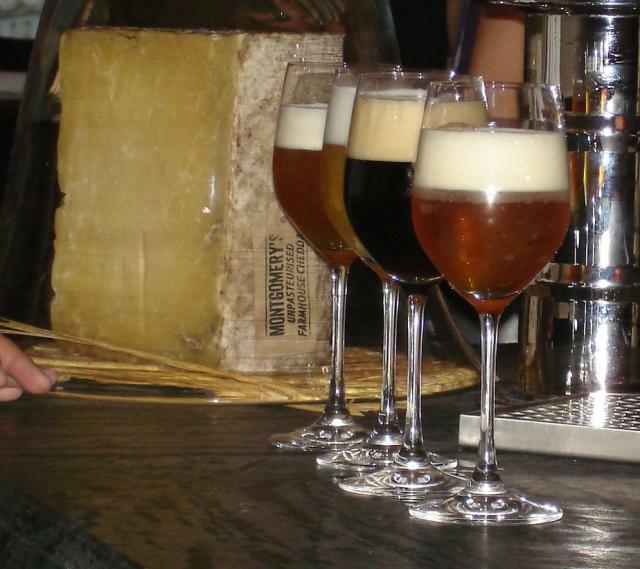 I was there last autumn and would just like to echo that it was a divine experience for this beer/cheese freak. I'm expecting to be back in the area in April and am counting the days. Chris - gorgeous photos - thank you. both Farmstead and La Laiterie a sucess...thus far! We were honored to have been selected by Saveur for their Top 100 issue. Sad news for Providence folks: Matt & Kate are moving to Boston to open Townsman. Last night at Farmstead is Sunday, June 1. I hope folks will be able to attend and give them a hearty thanks! I will certainly miss them. One of my favorite places.